Workplace culture in NHS trusts should be measured and reported with the same regularity and seriousness as emergency waiting times and finances, a new report advises. The authors of the report, culture change consultants Pulse UK, said they found differences in the workplace cultures of trusts rated outstanding and those rated inadequate by the health watchdog, the Care Quality Commission (CQC). Workplace culture is a shared set of practices and values across an organisation, and can influence issues such as tolerance of bullying or the willingness to raise the alarm about poor practice. In 2013 the Francis Inquiry report cited workplace culture as a contributing factor in care failings at Mid Staffordshire NHS Foundation Trust. The Pulse UK report found that staff at trusts rated inadequate were 20% less likely to believe that their trust prioritises patient care than staff at trusts rated outstanding; they were also 20% less likely to recommend their organisation as a place to work or receive treatment. Staff at trusts rated inadequate also reported feeling less confident about reporting unsafe clinical practice. One nurse quoted in the report said their workplace had a sense of ‘learned helplessness’ regarding the reporting of unsafe practice. ‘You will learn that nothing you do or say makes any difference here, or you will be one of the ones who will last only six months or so,’ the nurse said. The report defines learned helplessness as a state of mind ‘where an individual who is forced to experience repeated adverse situations becomes unable or unwilling to avoid these situations from reoccurring’. Pulse UK chief executive Dennis Bacon said many nurses would identify with the themes raised in the report. 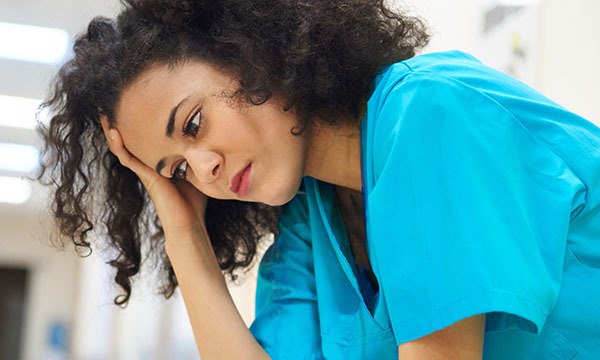 ‘Nurses can often feel a strong sense of "learned helplessness" when executives and board members are not visible, or leaders are not open or receptive to feedback, complaints and ideas,’ he said. ‘A lack of change or progress results in a belief that nothing will change, which in turn prevents some nurses from coming forward with innovative ideas. Mr Bacon said trust executives could tackle feelings of helplessness in nurses by being more visible and receptive to new ideas from staff. ‘Avoiding defensiveness is key to promoting an open and honest culture, where front-line nurses are able to challenge and speak freely,’ he said. The report calls for workplace culture to be measured and reported to the CQC and NHS Improvement. CQC’s Chief inspector of hospitals Ted Baker said the health watchdog already recognised the importance of good workplace culture. 'As part of our annual well led trust inspections we look closely at the leadership and governance of an organization, to check that it supports learning and promotes an open and fair culture,' he said. NHS Improvement was contacted for comment.